Cross Stitching has made a comeback with fun and modern designs just waiting to be made, and it can also be a very meditative form of needlework. This class is a perfect way to start you on this Zen journey, and it will teach you the basics of the craft, including reading a counted cross stitch pattern, parking your thread, and adding the finishing touches to your project. No experience necessary! 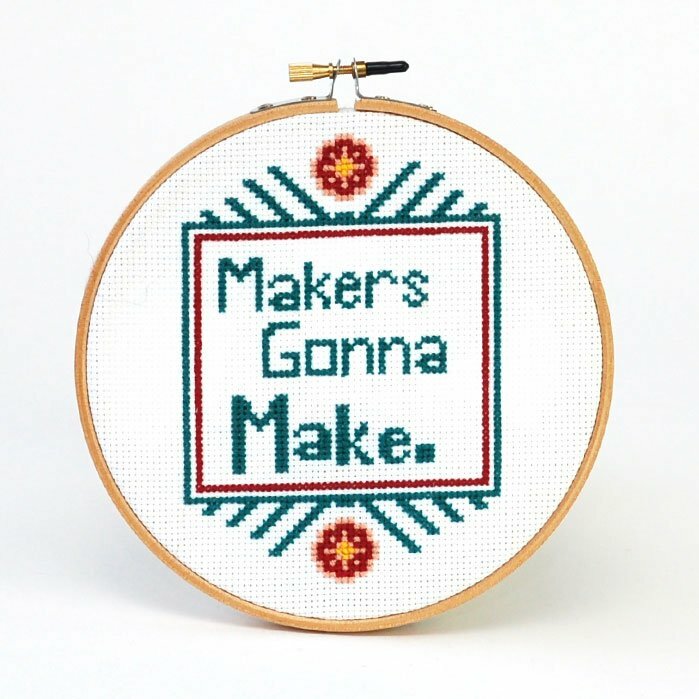 You will leave with everything you need to continue working and complete your own “Makers Gonna Make” artwork!